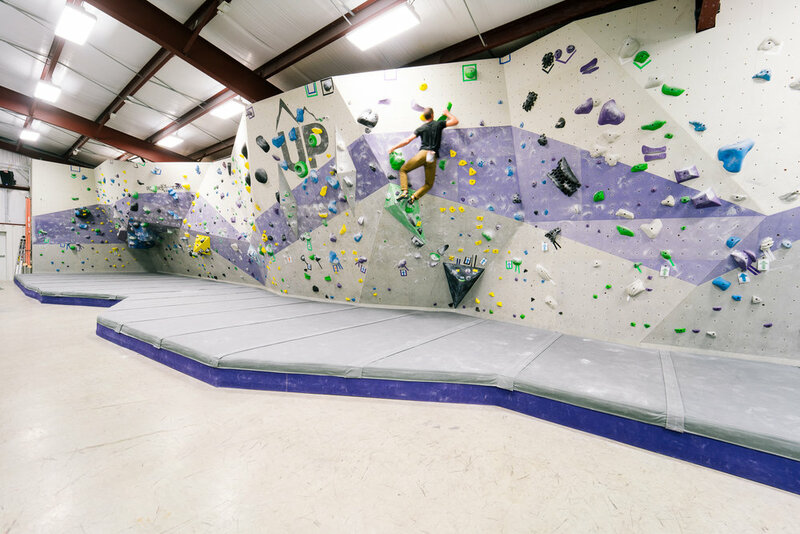 We are excited to boast a 90 foot long bouldering wall, over 60 rope stations up to 35' tall, a speed wall, crack climb, 6 auto-belay stations, and a dedicated sport lead climbing wall. Many of us grew up climbing trees around here and Louisiana is known for its live oak trees. We think ours is especially worth climbing Up. And it’s a great option for parties and groups, right next to our ping pong lounge! 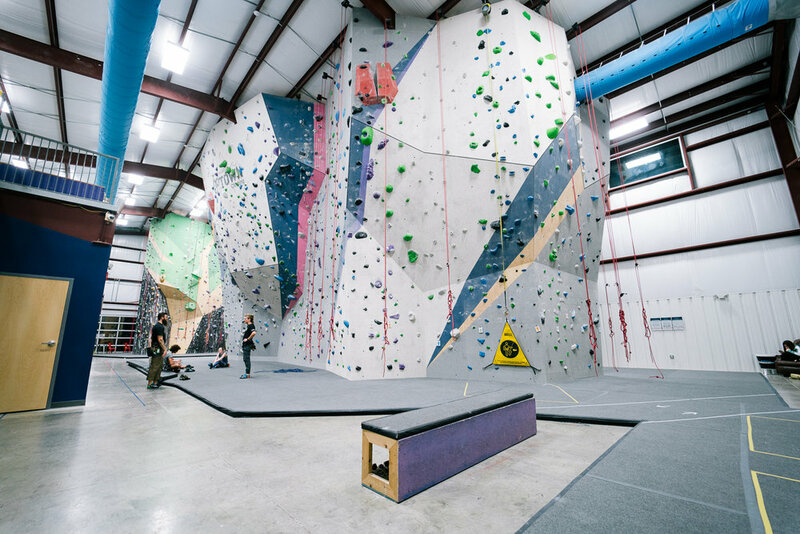 This is where the bulk of our climbing happens with the largest variety of terrain and skill levels in the gym. 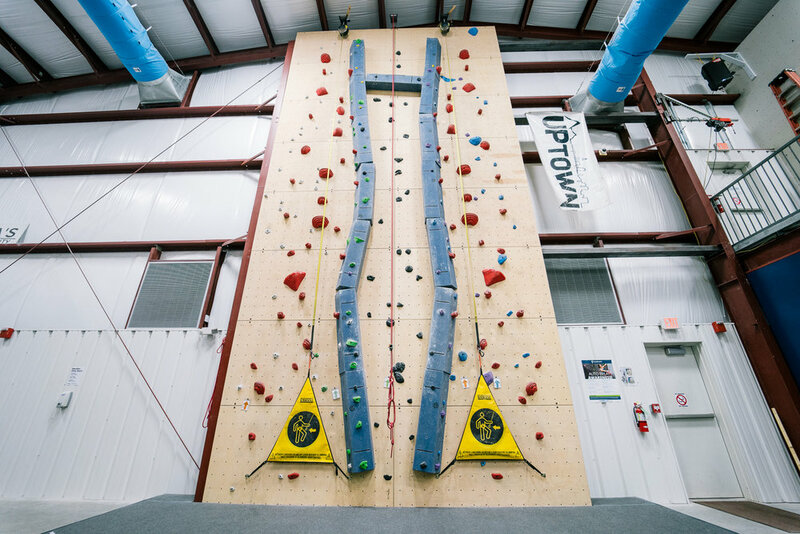 With over 40 climbing stations and 100+ routes there is something for everyone on our Grand Island. Purple and Bold – Don’t want to get roped in? We have 90’ of bouldering terrain to perfect your technique. Test your speed against friends in an Upward race. Another great option for parties. Cut your teeth (and skin your knuckles) on our crack. Nested in the middle of our speed wall, it’s a simple start to learning crack climbing. Step Up your game. The lead wall is the main feature of our Grand Island and for advanced climbers only. Not Up for it yet? Grab a spot on the mezzanine viewing area and be inspired watching climbers tackle these routes.